The Knights Who Say “Ni” would be delighted by a growing trend across many of the planet’s major biomes—tree and grass species are being taken over by shrubbery. Unfortunately, this phenomenon isn’t so favorable for native vegetation that struggles to compete with an invading shrub army (the term ecologists often use is ‘woody plant encroachment’). Several LTER sites have been documenting a slow and steady shrub creep within their study habitats—from coastal barrier islands in Virginia to sprawling Arctic tundra in Alaska. Two new studies document shrub expansion in the southern Appalachian deciduous forests and the Chihuahuan desert of New Mexico, and examine some of the environmental characteristics contributing to this shift. Plant communities over the past 150 years at the Jornada Basin LTER site have transformed from grasslands dominated by Bouteloua eriopoda (black grama) in uplands and Pleuraphis mutica (tobosa) in playas to shrublands that are spatially segregated by topography and soil texture: Prosopis glandulosa (honey mesquite) predominates on sandy plains, Larrea tridentata (creosote bush) on gravelly upper piedmont soils, and Flourensia cernua (tarbush) on finely textured lower piedmont and basin floor soils. 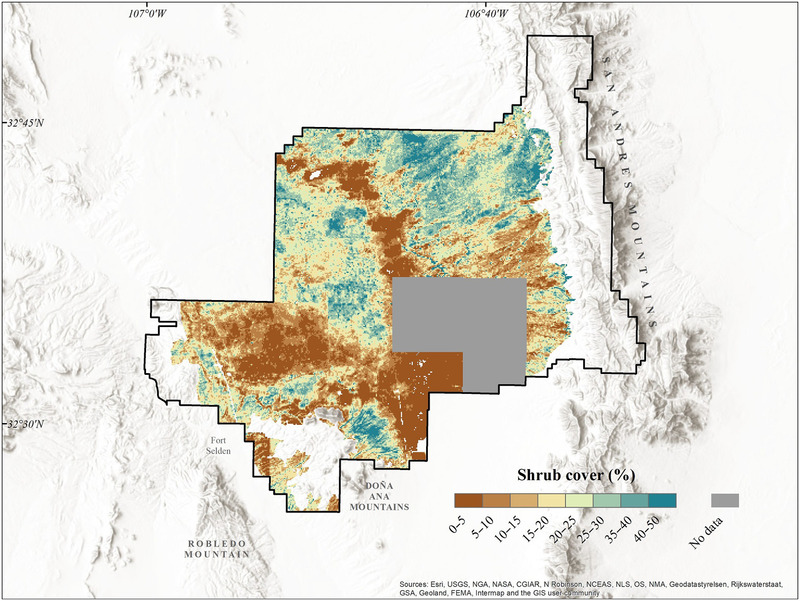 To better understand this transformation and the environmental constraints on shrub cover, Jornada researchers created a shrub cover map using high spatial resolution images and explored how maximum shrub cover varies with landform, water availability, and soil characteristics. They found the upper limit on shrub cover is controlled by mean annual rainfall and shrub–shrub competition, as mediated by the amount of available water across landforms and soil texture. Potential shrub cover generally increases as surface soil clay content increases up to 18%, possibly reflecting increases in soil fertility, then declines with further increases in clay content, perhaps related to reduced infiltration of rainfall. In addition, the relationship between shrub cover and density suggests that self‐thinning occurs in denser stands in most landforms of the Jornada Basin, indicating that shrub–shrub competition interacts with soil properties to constrain maximum shrub cover in the northern Chihuahuan Desert. Meanwhile, researchers from Coweeta LTER have noted an increase in shrub biomass in the wake of an infestation of the Hemlock woolly adelgid that caused up to 97% mortality of eastern hemlock trees (Tsuga canadensis) in the region. 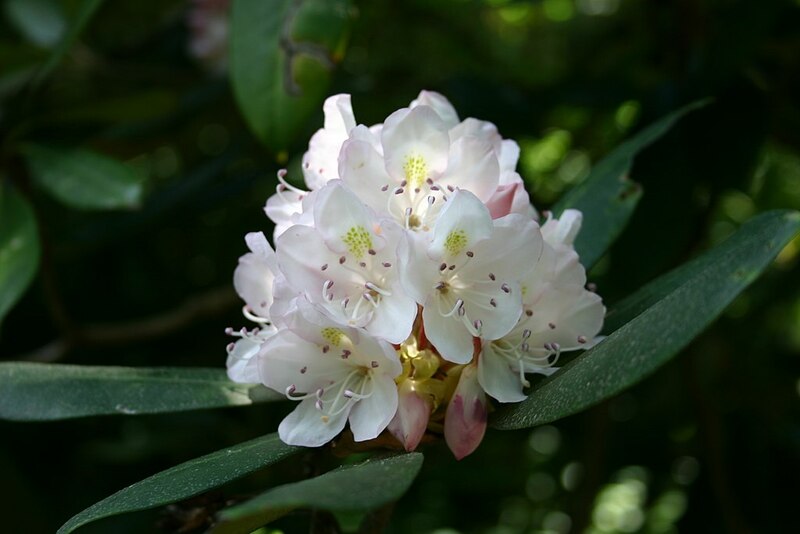 Based on studies since 2003, when the infestation was first detected, the team has documented long-term changes of ecosystem function that can be attributed to changes in vegetation composition—particularly due to increased density and size of the shrub Rhododendron maximum. The researchers looked at responses of light, soil moisture, tree seedling density, and overstory and understory vegetation growth over ten years following the infestation. After a decade, growth of both overstory trees and R. maximum has not compensated for the loss of T. canadensis. This latest work adds to recent studies in the region showing that the evergreen shrub understory may act as a recruitment bottleneck for canopy tree species, preventing new sapling growth by limiting water, nutrients, and/or light. As such, these shrubs may shape the long-term structure of these forests. Rhododendron maximum, a shrub species that may be impeding tree sapling establishment in Coweeta LTER. In the Jornada Basin, even though shrubs have been proliferating for decades, their spread appears to be constrained by water availability and competition with other shrubs. In the Appalachian Mountains, however, researchers believe that active management of R. maximum, which may involve the removal of the evergreen shrub and soil organic layer, may be required to allow for diverse tree seedling recruitment. Shrub removal, combined with seed introductions, could help restore riparian forest structure, diversity, and function by increasing carbon and inorganic nitrogen availability and stimulating microbial activity. In both the desert and temperate forests, (as well as barrier islands and Arctic tundra, for that matter), it’s clear that woody shrubs are taking advantage of disturbance and environmental change, and in some cases impacting community structure and ecosystem function. Active monitoring and management of shrubs will be critical in many places to maintain biodiversity and ecosystem services. Sandra N. Dharmadi, Katherine J. Elliott, Chelcy F. Miniat. (2019) Lack of forest tree seedling recruitment and enhanced tree and shrub growth characterizes post-Tsuga canadensis mortality forests in the southern Appalachians. Forest Ecology and Management, Volume 440:122-130, ISSN 0378-1127, https://doi.org/10.1016/j.foreco.2019.03.024.